Clark Howard: Financial short-term pain for long-term gain? 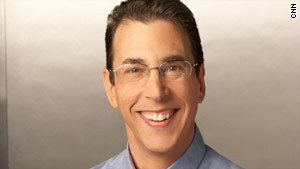 Clark Howard: Americans have reduced the amount of money borrowed for nine consecutive months. Atlanta, Georgia (CNN) -- When is it best to take short-term pain for long-term gain? As a country, we're running a shocking budget deficit with massive new spending coming. Some economists think it's perfectly reasonable for the federal government to act as a booster shot of last resort by pumping money into the economy and dealing with the consequences later. Meanwhile, some of our giant bailout banks are paying back the loans they were given by the government. Now there's a push by some to take that money and use it in programs to help the unemployed. There's no denying we have a real unemployment crisis. President Obama has repeatedly said addressing it is one of his highest priorities. But there are other approaches rather than spending money we don't have. Ireland is one country that's exploring alternative routes. The Republic of Ireland has always been a tragic beauty. Historically, its greatest export had been people looking for economic opportunity elsewhere. But more than a generation ago, Ireland embarked on a path of low taxes and little government involvement in the economy. The result was enormous economic growth and one of the world's greatest success stories as Ireland's people went from being some of the poorest in the industrialized world to the wealthiest. The Celtic Tiger had finally arrived. But now Ireland faces 12.5 percent unemployment and Dublin looks like a Third World country with partially completed buildings and rusting cranes littering the skyline. A drastic budget cut is the solution the country has decided on. Ireland is slashing the salaries of its government workers by 5, 10 or 20 percent, and reducing spending on health care, welfare, education and many other social services. In truth, this will increase Ireland's economic pain in the short-term. And it's so opposite of what we're doing in the United States, where our government spends big bucks to cushion the blow of economic decline. But the Irish won't have to worry about righting their financial ship down the road, as we will. So is it more compassionate of government to spend money it doesn't have to try to help prop up the economy? Or is it better for government to reduce spending to keep its own financial house in order? As a debt hater, I have a natural bias for the latter. Of course, I'm not a government employee, a welfare recipient or a jobless worker. Just some food for thought during this tough economic cycle. Meanwhile, in one positive development, the Federal Reserve reports that Americans have reduced the amount of money we've borrowed for a record nine consecutive months. If you go back a little over a generation ago, Americans borrowed around 60 cents on every dollar relative to our income. Yet just two years ago, at the peak of our financial madness, we were borrowing up to 136 percent of annual income. The latest figures look like we're down to between $1.24 and $1.26 of borrowing on every dollar we earn. It's not where we should be, but it's definitely along the right lines. Let's keep moving in the right direction. In need of a money coach? Short-term financial pain for long-term gain?